Seinfeld Moment: Wash Your Hands! A recent article in the Globe and Mail highlighted one of the basic but important preventative measures: hand-washing. The recent Drummond Report only adds further impetus for the need for low all-in-cost approaches to healthcare that are efficient and effective. Just getting more people, including hospital staff, to wash hands is a seemingly straight-forward concept. Somehow, however, even this exercise in change management is tougher than it appears. Now, technology is joining the fray. One of the important aspects of this story is whether the use of technology is cost-effective or whether no-tech change approaches might work better if properly used. Toronto General Hospital will launch a project this month that uses ultrasound technology to paint a detailed picture of staff hand-washing practices, potential “hot spots” for disease transmission and points of contact between staff and patients. “It’s going to provide a level of understanding that we’ve never had before,” said Michael Gardam, director of infection prevention and control at the University Health Network. Dubbed Hospital Watch Live, the new system will rely on more than 1,000 ultrasound devices located throughout the facility. Organ-transplant patients will receive miniature “badges” attached to their wristbands on admission; doctors will pin them to their shirts; and they’ll adorn hundreds of pieces of equipment ranging from wheelchairs to commodes. 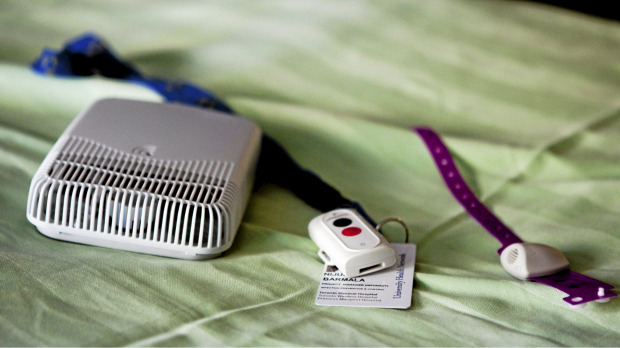 Larger sensors mounted on the walls and ceilings are equipped with microphones that record information and feed it into an interactive database that can be accessed by staff through the hospital’s internal Web system. The equipment is sensitive enough that it can recognize when physicians are facing a patient, when they turn their backs and when they step out of the room. It also picks up when staff members should wash their hands (every time they step out of the “patient environment”) and records whether or not that’s done. Edith Blondel-Hill, medical director of a B.C. and Alberta-wide program called Do Bugs Need Drugs?, said she would support any project that might increase hand-washing rates for health-care workers, but her focus has been more on education than technology. “I’m still of the mind that if we teach the public to expect hand washing from health-care practitioners, and we teach children, in the long run hopefully we wouldn’t need to get these detection devices,” she said. Dr. Blondel-Hill’s program is aimed at increasing hand washing and cutting down on the unnecessary use of antibiotics. She said she recently looked into another system that sees doctors wear badges that glow green when their hands are freshly washed, but decided it wasn’t right for her hospital, which is in Kelowna, B.C., in part because of the cost. The Infonaut pilot project came with a hefty price tag of its own, but one that was softened with some external funding. The University Health Network scored a $555,000 grant from a federal program called Canada Health Infoway, sponsored through Health Canada to help launch the project. Infonaut kicked in another $750,000 of its own, loaned to the company at a favourable rate by Health Technology Exchange. The initial pilot will last 18 months. If the equipment is successful in bringing down infection rates, Mr. Wallace said he expects it to generate a return on initial financial investment within the first nine months to a year. Dr. Gardam said he’s already received suggestions about how to use the data: One group of nurses wants to know if patients in isolation receive less attention than other patients, and others want to see how daytime workers stack up against the night shift in hand-washing compliance. 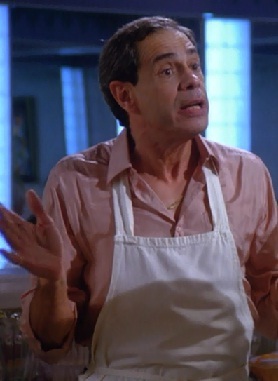 By the way, the reference to Seinfeld is the episode where Jerry notices that the Chef in an Italian restaurant, Poppy, didn’t wash his hands after coming out of the bathroom stall. A horrified Seinfeld then watches Poppy knead the dough for the pizza he and his date will next eat. "Poppy got a little sloppy." Seinfeld Season 5 Episode 15 "The Pie"